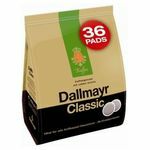 100 individually sealed coffee portions for even greater freshness. 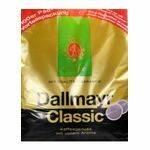 In Dallmayr Classic, irritants and bitter elements have been removed before roasting with a special procedure. The roasting process gives the special, aroma-flavored coffee. Guaranteed made from 100% Arabica beans.